This recipe is SUPER simple and will completely change your mornings from sleepy and sugar filled to full of energy, happiness and fewer calories! Sound pretty great?! Well it gets even better, with only four simple steps, you could literally do it half asleep. Start making your coffee/expresso how you usually do. Fill a mug 1/3 of the way full with almond milk. Place in the microwave for 30-40 seconds (milk should be warm). 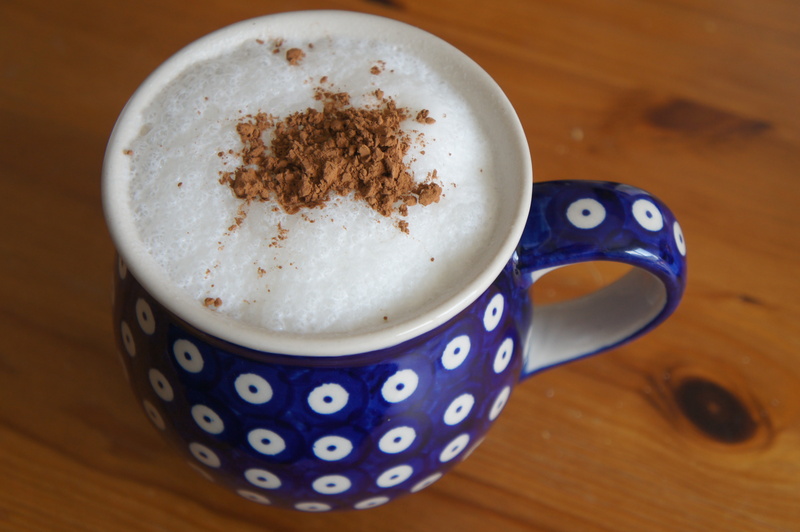 Using your frother, froth your almond milk until it is beautifully thick and foamy (around one to one and a half minutes). If you want to at this time you can add a little bit of sweetener into the foamed milk. 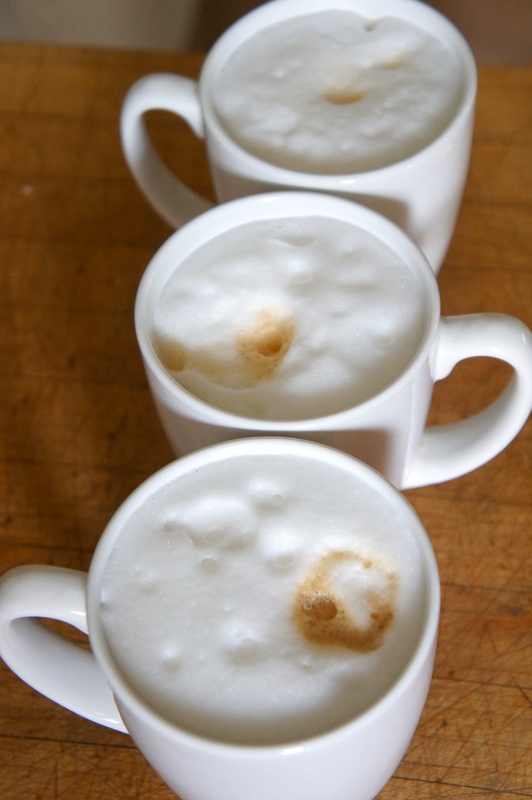 Then pour your coffee through one spot in the foamed milk, top with whatever you would like!